Why is PlaneSpace grayed out? If PlaneSpace is grayed out in the Windows menu as pictured below, this most commonly happens if the layer that you are applying PlaneSpace to does not have its 3D Layer switched on and/or the layer is not selected in the composition window. 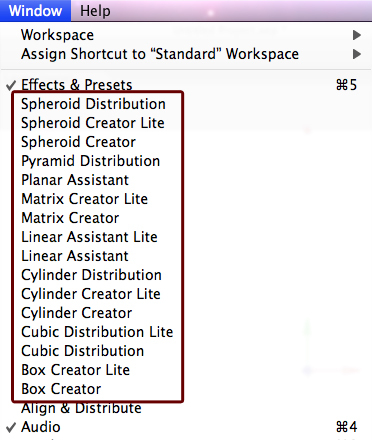 To make PlaneSpace available, select the layer(s) in your composition that PlaneSpace will be applied to and then turn on the 3D Layer switch for each layer. 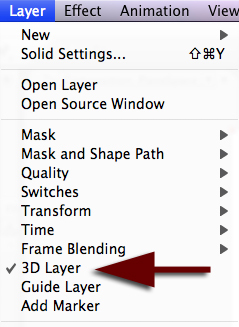 3D Layer may also be turned on by selecting the cube icon located in the composition window or selecting it from Layer>3D Layer. 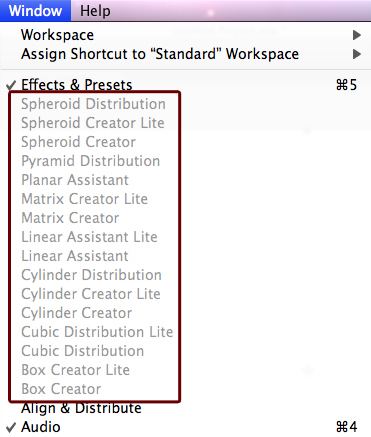 Next, apply PlaneSpace from the Windows menu.